Illinois law permits several different types of adult guardianships. Guardianships protect people with special needs by allowing guardians to make financial, legal, and logistical decisions for them. Guardianships are supervised by the probate court, which appoints a guardian, oversees administration of the person with special needs’ affairs, and can remove the guardian if necessary. In selecting the most appropriate type of guardianship, families should consider whether a person with special needs can make some decisions about finances and personal care but needs assistance as to some other decisions. A limited guardianship permits the guardian to make some, but not all, decisions for the person under the guardianship. When the court appoints a limited guardian, it must list the specific powers that the guardian will have in the court order – for example, the power to manage bank accounts might be listed, but not the power to make health care decisions. The court orders a plenary guardianship when a person’s special needs require that he has a guardian who can make all financial and personal care decisions for him. There are different types of plenary guardianship – it may be as to the person (personal care, education, and medical services) or as to the estate (financial affairs and property) or as to both. In emergencies, the court may appoint a temporary guardian for up to 60 days to protect a person with special needs’ interests. A successor guardian takes over the guardianship when the initially appointed guardian no longer can serve. The initial guardian may resign, may develop medical problems, or may pass away, generating the need for a successor if the guardianship is still necessary. Parents of children with special needs use testamentary guardianships to protect their children who are living under guardianships in case of the parent’s death. 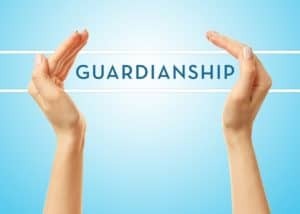 These guardianships are specified in the parents’ wills and designate a person who takes over a guardianship if the parent (the guardian) dies. They help avoid uncertainty and delay that could affect a person with special needs’ affairs. The guardian specified in the will still must be approved and appointed by the court, and the court can pick a different guardian if the proposed guardian does not meet the court’s approval.